I have this new shinshintō tantō that picked up at the Tampa show last weekend. I think the nakago read 'Sashū Mikawa Tensaido'. The reading of the signature is based upon the previous owners notes. The tantō is also dated on the reverse side. Please note I am a professional Japanese fine art and antiques dealer and have studied Japanese language myself. I often don't need help with these type of things but i can't find any information about this swordsmith. I will at some point down the line use this information to help sell the Tantō. 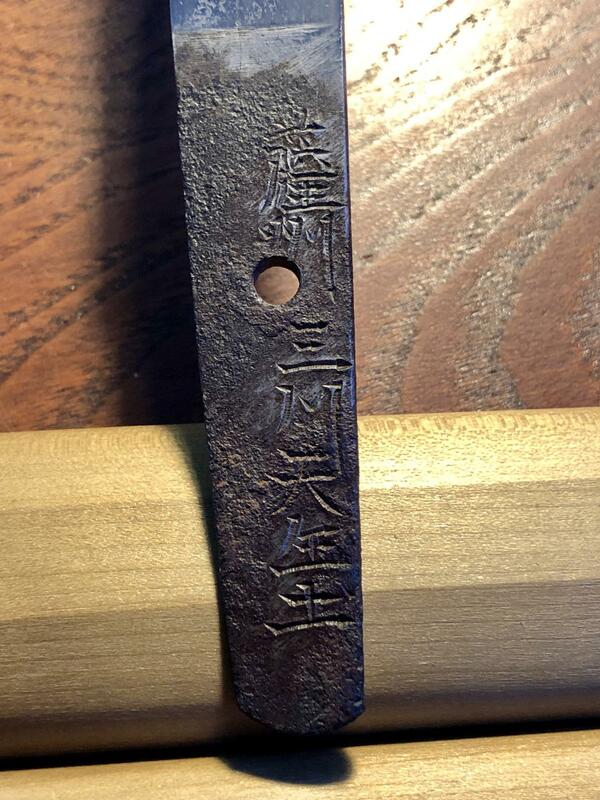 Have to wonder why the patina was filed and cleaned around some of the kanji. Very curious tanto. Looking up the Kanji some more and these are also possible readings on the artist name. Thank you John. Uwe, Yes I agree in terms of the date. Thank you.